Since 2009, OpenAirlines has developed SkyBreathe®, the most efficient software solution in the world when it comes to reducing aircraft fuel consumption and emissions. Through the use of Big Data and advanced algorithms, SkyBreathe®provides a large number of highly accurate analyses, graphs and preset reports which help an existing fuel management program identify further fuel cost and emission footprint reductions by an estimated 2-5 percent annually. Based in Abu Dhabi, Sander de Moor is a freelance consultant with a focus on optimization activities in areas ranging from flight and ground operations to fuel efficiency, fleet and network strategy and management, as well as payload optimization. Total Operations Efficiency.Building on almost 30 years of solid flight operational support experience, covering most aspects of flight -ground-, airport – and network operations, highlights include being part of the IATA Green Teams core and taking up full-time fuel efficiency management positions with LOT Polish Airlines and the Etihad Airways Group. 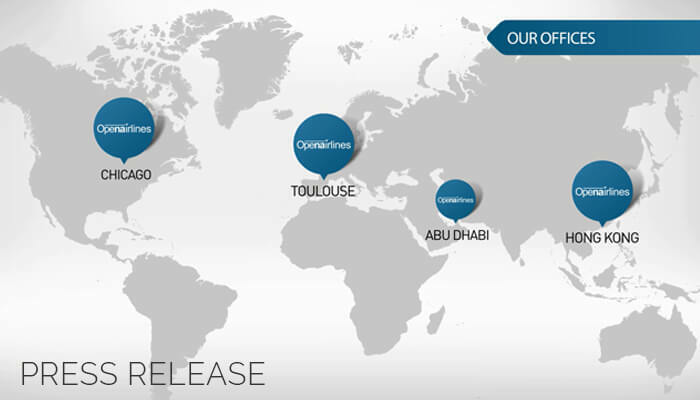 After opening offices in Hong Kong and Chicago, this partnership strengthens OpenAirlines’s presence in the Middle Eastand further enhances its growing global network.